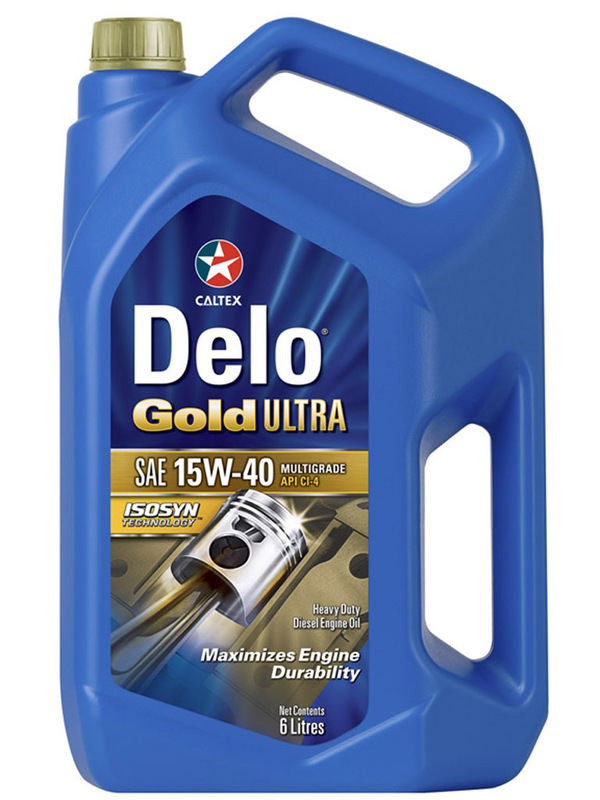 Delo® Gold Ultra is a high performance, multigrade, heavy-duty diesel engine oil specifically designed to lubricate a wide range of engines requiring API CI-4 or ACEA E7 performance lubricants, including those fitted Selective Catalytic Reduction (SCR) and / or Exhaust Gas Recirculation (EGR) emission control technologies. Reduces maintenance costs – ISOSYN® technology, including a combination of high performance hydrocracked base fluids and carefully balanced metallic detergent and ashless dispersant additive system, provides excellent overall engine cleanliness in all service conditions. ISOSYN® technology also confers the high degree of soot dispersancy required to maintain oil drain intervals in modern engine designs. Highly effective oxidation stability protects against the formation of gums and varnish at elevated temperatures. Prolongs engine life – High efficiency dispersant combination plus proven metallo-organic anti-wear additive system provides excellent protection against wear of critically loaded components under all operating conditions. Multigrade viscosity provides additional protection against wear at start-up and under high temperature operating conditions. Preserves full power and performance – Outstanding metallic detergent additive system preserves full power and performance by providing excellent upper-ring-belt deposit control under the high temperatures encountered in turbocharged diesel engines.